Luxe.Co has been tracking investment and financing events in the fashion and lifestyle industries in China since 2016, covering fashion brands, fashion e-commerce, food and dining, hotel and travel, beauty care, sports and fitness, culture and entertainment, home and toys, fashion technology and other sectors. Over the past three years, Luxe.Co has published 148 issues of “Luxe.Co Investment Weekly” and released “China Fashion and Lifestyle Investment Trend Report” in 2016 and 2017. 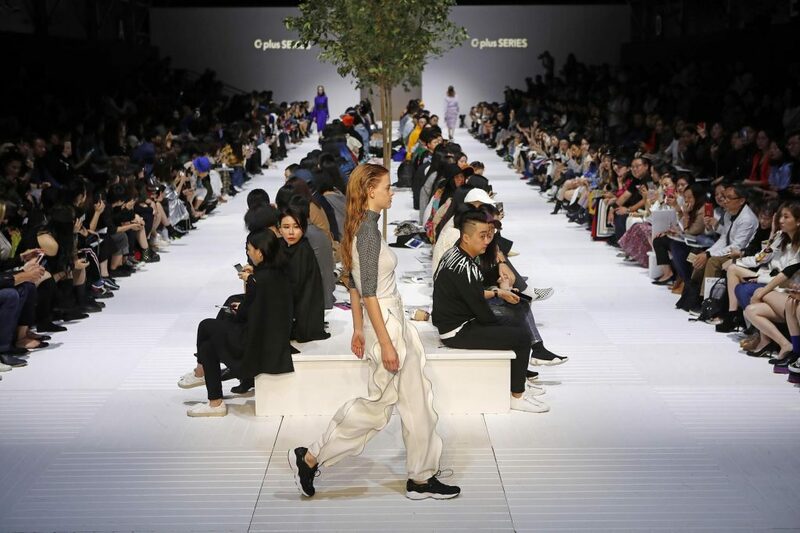 The report in 2018 will showcase the most updated investment trends in China’s fashion and lifestyle industries. 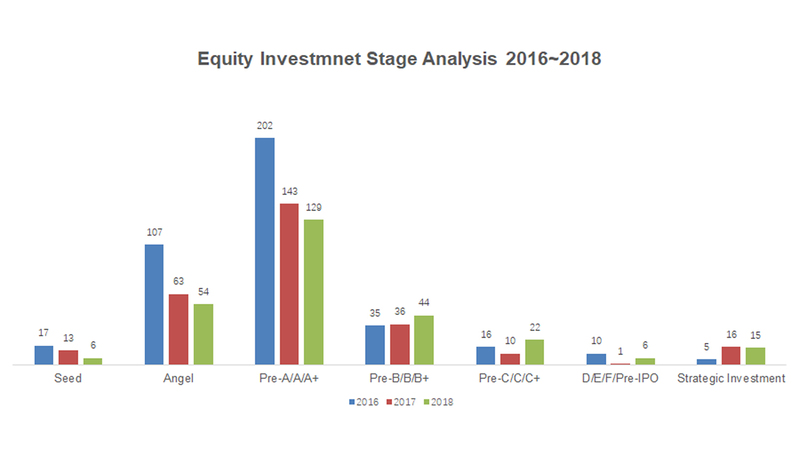 There were 276 equity investment cases in 2018, which was similar to 282 cases in 2017, but much lower than 392 cases in 2016. Over the past three years, the Pre-A/A/A+ rounds have been the major stages where investors were involved. Over half investment cases occurred prior to Series A financing. With continued research in the past year, Luxe.Co also summarized the following top ten investment trends in China’s fashion and lifestyle industries in 2018. There have been more and more independent fashion designers and designer brands emerging in China in recent years. Luxe.Co is tracking over 640 active independent designer brands currently. In 2018, many designer brands obtained financing, such as Masha Ma, MUKZIN (密扇) and BIFU (彼伏) . Even with a slight increase compared to 2017 (Lanyu) and 2016 (Grace Chen and MUKZIN), the overall number of investment cases and amounts remained low. Platforms targeting designer services, also attracted institutional investors in 2018. Designer brand incubator Magmode (名堂) obtained USD 30M financing. Data-driven designer brand distributor AnyShopStyle obtained tens of millions of yuan investment. Designer e-commerce platform ICY obtained nearly one hundred million-yuan funding. These platforms aim to help designers focusing on the design part, and provide services in typical “weak links”, such as supply chain and distribution parts, in order to accelerate the commercialization process of niche brands. In the past two years, multi-brand and multi-category stores have shown a strong growth momentum. One of the main reasons is the emergence of a large number of new and innovative brands. Also, the elevated consumer aesthetic and purchasing power have generated strong demand for personalized and niche fashion items. 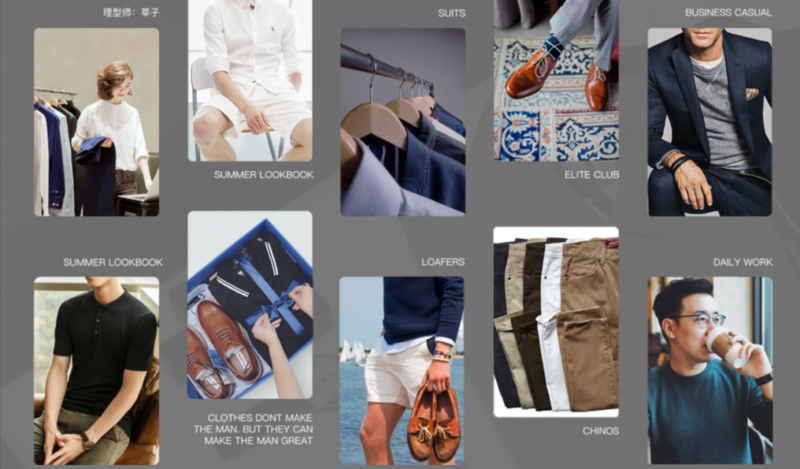 Ventures supported by investment institutions in 2018 include: Streetwear multi-brand platform INXX, entry-luxury eyewear multi-brand store Coterie, female consumer-dedicated multi-brand store HeyShop, and T-Mall-cooperated all-category multi-brand fashion store Kerr&Kroes, imported product multi-brand store KK Guan, and lifestyle multi-brand store HUI. With the increasing number of SKUs and inventory management needs, multi-brand stores began to apply big data technology to promote sales. Heyshop added RFID to all products and monitored the interaction between consumers and products. KK Guan arranged store display based on data analysis. Therefore, each store has different product offerings and displays. 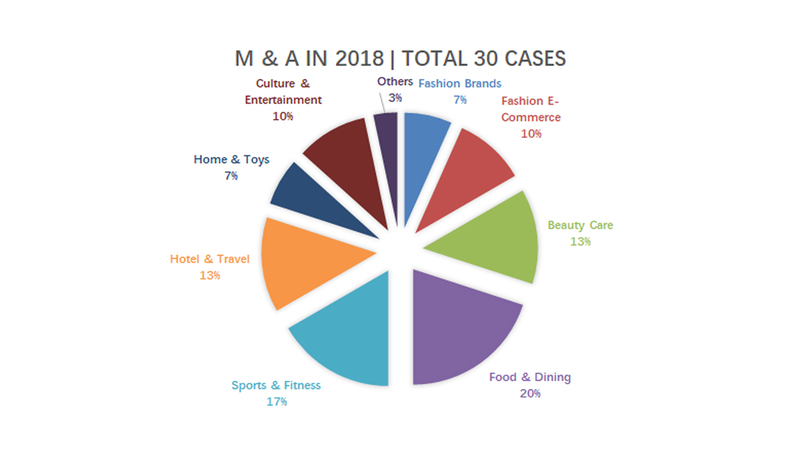 Many lingerie brands obtained investment in 2018, including NEIWAI (内外) (featuring comfort), teenager lingerie brand For Dear Me, entry-luxury lingerie brand Dare One, Ubras (featuring elastic fabric), Inman’s internal incubated underwear brand Inman (茵曼内衣) and female underwear shopping guidance platform Yangqi (氧气Bra). Traditional listed underwear company Cosmo Lady (都市丽人) also obtained strategic investment from VIP.com (唯品会) in 2018. With the rising awareness of feminism, more and more female consumers are focusing on their own body and inner feeling instead of others’ views. Abandoning traditional underwired and padded underwear, women began searching for more suitable underwear. Therefore, non-wired underwear became a popular area. For example, the brands which obtained financing in 2018, such as Neiwai, Inman, Ubras and For Dear Me, are all featuring non-wired bras and emphasizing extreme comfort. “Trust” was one of the major factors restraining the development of second-hand economy and leasing services previously. With improved individual credit system and application, especially the widely-used “Zhima Credit” of Alipay, more and more second-hand platforms and leasing platforms have emerged. Relying upon “Zhima Credit”, platforms can waive deposit requirement and reduce the entry barrier for users. For consumers, leasing is more economical and eco-friendlier than purchasing. They are less concerned over the issue whether the product is brand-new. 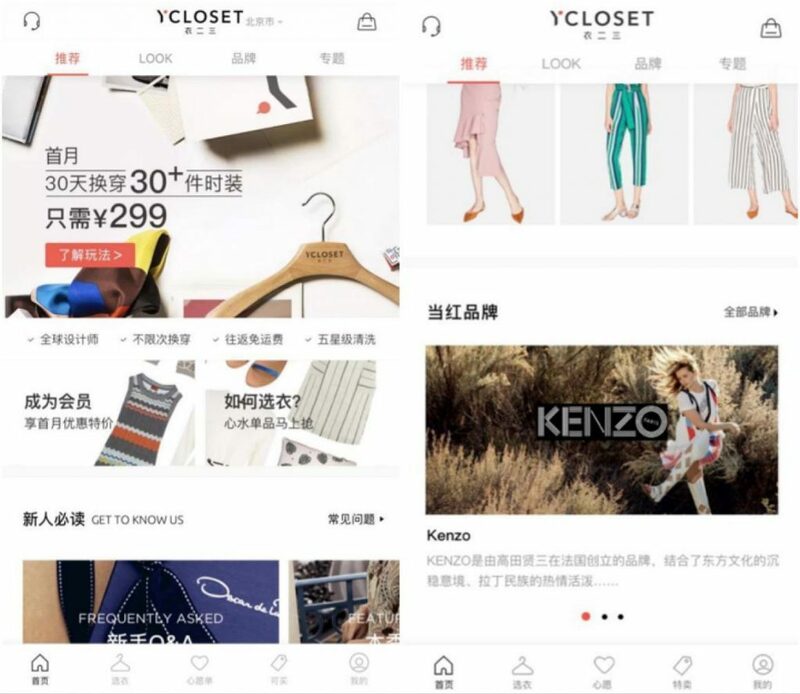 In terms of product category, fashion rental service platforms (clothing, jewelry and luxury products) are hotspots for investment, such as second-hand fashion and luxury platform Plum, Xinshang (心上) and Ponhu (胖虎科技), fashion rental platforms YCloset (衣二三), MSParis (女神派) and SayLavie (衣当先), jewelry rental platform SAPHNY (幸福纪) and luxury rental platform StarLuxe (星洞). Subscription e-commerce is a combination of subscription model and e-commerce channels. Similar to newspaper and magazine subscription, subscribers receive subscribed products or services regularly. Consumers make a one-time payment and do not need to select product repeatedly. If they are dissatisfied with the subscription service, they can stop the service at any time. Subscription e-commerce transformed the consumption scenario from “consumers searching for products” into “products searching for consumers”. From the efficiency point of view, subscription e-commerce is the optimized version of traditional searching-based e-commerce. Subscription e-commerce model has been widely developed overseas in recent years. Stitch Fix is a good example. After users register at Stitch Fix, the website will collect 85 types of data, including style, size, price range and so on. Then the system will apply an “AI + Stylist” model to select and send five pieces of fashion items to users. Stitch Fix was listed on Nasdaq in November 2017, with a sales turnover of USD 1.2B in the fiscal year of 2018. In China, subscription e-commerce has just emerged. In 2018, eight subscription e-commerce platforms obtained funding support, which was more than previous two years combined. 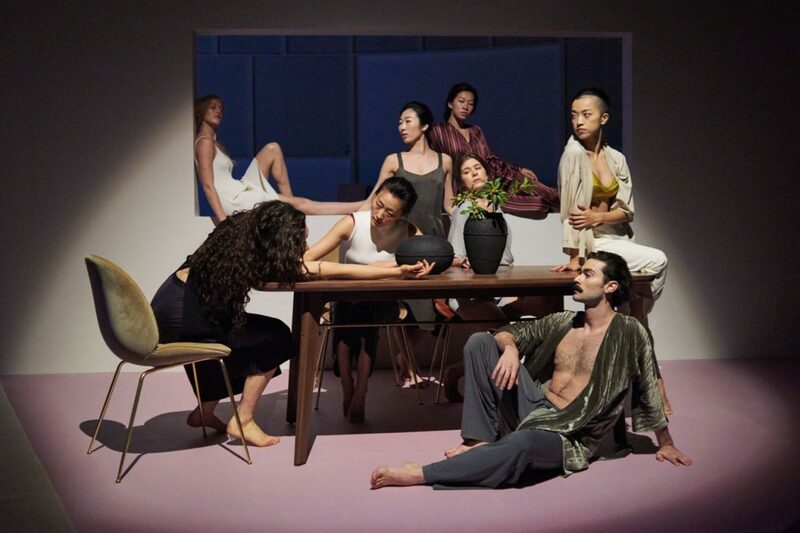 These platforms are menswear platform Champzee (垂衣), Jinyihe (锦衣盒) and Less&More, womenswear platform TheLook, Box Fantasia (秘盒幻想曲) and Abox (壹盒) , pet supply platform MollyBox (魔力猫盒) and flower platform Flower Plus (花+) . In the food and dining sector in 2018, investors preferred new tea drink brands, which feature good-quality raw materials (fresh milk replacing creamer + high quality tea base), high prices and upgraded retail space. 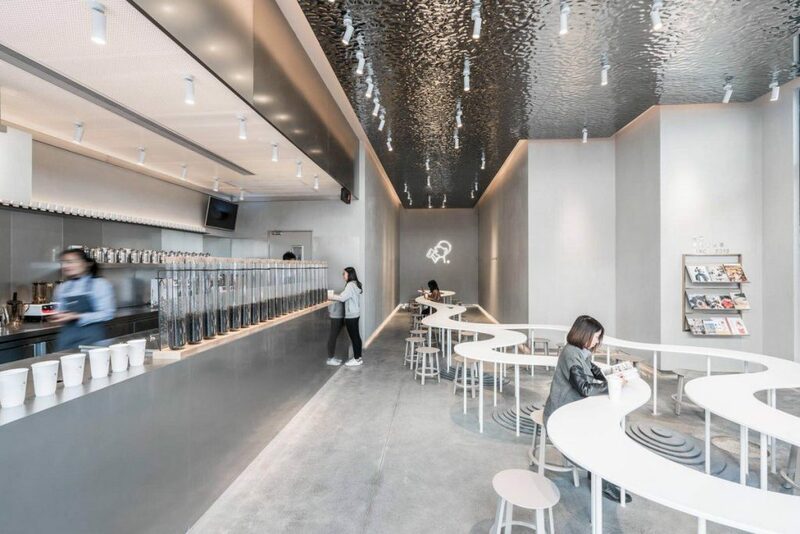 Following the trend of previous two years, over 15 new tea drink brands obtained funding support, which occupied over one fourth of food and dining investment cases collected by Luxe.Co in 2018. Among these new tea drink brands, one of the main features was to emphasize on “third space”. Some stores emphasized on youthful and fashionable atmosphere, such as Hey Tea (喜茶), Naixue Tea (奈雪的茶) and Le Le Cha (乐乐茶) . Some stores emphasized on the traditional tea culture with a high-end and business market positioning, such as Teasoon and Teasure (煮葉). In order to better convey the brand culture and extend customers’ staying time, many brands upgraded their store space in 2018. Hey Tea launched “black and gold” themed stores, Hey Tea Pink stores featuring young girls’ pink fantasies, and DP (Daydream Project), which was collaborated with independent designers. 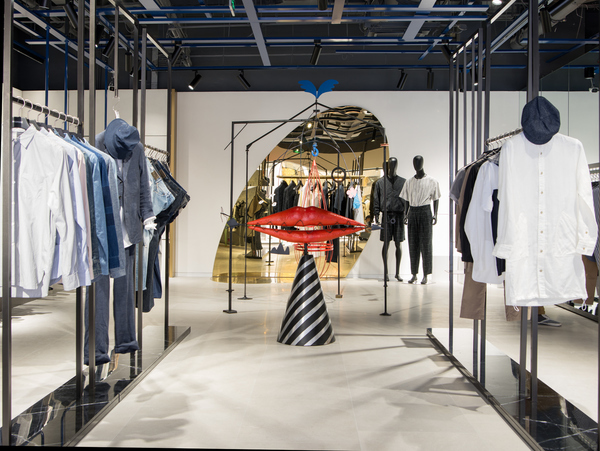 Naixue Tea launched large-scaled stores (over 200 sqm) and created different lifestyle aesthetic scenes with various designers. The fitness industry chain can be divided into three parts, upstream content and tool providers (fitness equipment and course IP market), mid-stream platform service providers (gyms), and downstream user service providers (content community and related apparel). In terms of mid-stream platforms, there are three types of service providers: traditional gyms, mini gyms and online fitness applications. In 2018, new gyms featuring pay-as-you-go, standardized services, and small chain operation have developed rapidly. Including Liking Fit (Liking健身), Shape and In Yoga, over 10 new gyms have obtained funding, which was higher than 2016 and 2017, in terms of the number of cases and investment amounts. In addition, a number of applications based on online content and tools completed new rounds of financing, such as Wake, Keep, MoFit and Daily Yoga (每日瑜伽). Some fitness applications also had offline trials in 2018. Mobile fitness tool application Keep, opened its first store Keepland in Beijing in March 2018, shifting its market positioning to a sports technology company. Daily Yoga opened its first yoga studio in Beijing in April. Traditional gym model was still the mainstream of the industry in 2018. Their income mainly relied upon prepayment and annual fees, with a focus on sales rather than services. However, in the absence of services, renewal was not guaranteed and annual membership users would decline. Besides income instability, gym operation also faced challenges from the rapid rise of rental and human resource expenses. Traditional gyms have been looking for innovative opportunities. Tera Wellness Club (一兆韦德) established a new gym brand GE Express (GE快健身) in 2014 and obtained CNY 20M funding in 2018. Lucky Bird Fitness Club (金吉鸟健身) acquired the largest gym in Ningbo, Beautiful Day (美日健身) in February 2018 and continued its city expansion. After two years of searching for investors, Will’s (威尔士健身) was acquired by L Catterton Asia in 2018. For young generation consumers who were born after 1985, “loneliness” is an inevitable topic. Some of them have pets as physical and emotional companion, and spend a lot of money and energy on pets. A number of pet supply brands obtained funding in 2018, higher than 2017 in terms of investment cases and amounts. 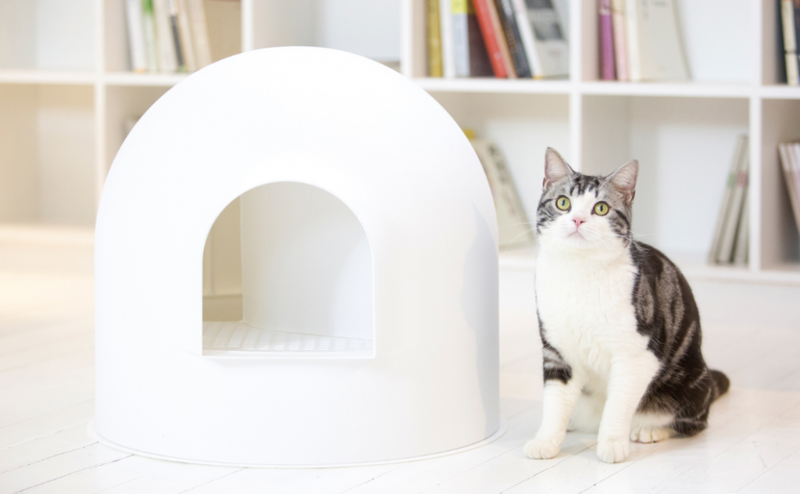 These brands include all-category pet supply brand Pidan, pet food brand Verdure (味及), pet snack brand Alfie&Buddy (阿飞和巴弟) and Vetreska, and pet care brand Cature (小壳). ACG subculture features animation, cartoon, games and novels, supplemented by garage kits, cosplay, collaborative content creation, and other related culture. ACG has evolved from subculture to an important culture element among Generation Z. In 2018, many websites featuring ACG subculture were acquired or public-listed. In February, GuluGulu was acquired by Chinese All (中文在线) with CNY 1.5B for the remaining 80% shares. In March, Bilibili (哔哩哔哩）was listed at Nasdaq with a market capitalization of USD 4.2B currently. In June, Acfun was fully acquired by OneSmile (快手). In ACG-related culture, many brands obtained funding, including ACG fashion brand management company ZAIYIXINGHUI (载艺星辉), ACG-related product company Manas Workshop (末那工作室) and IP-related retail brands IPSTAR (潮玩星球) (under AIMON) and Rock Bear (超级萌工厂). 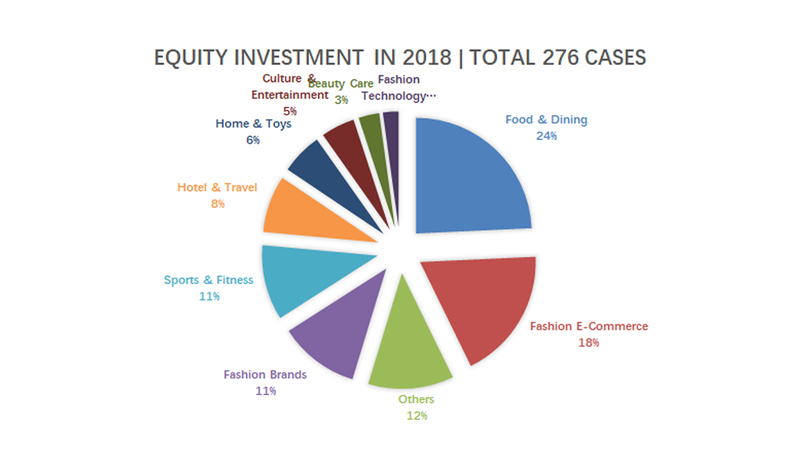 Since 2017, Luxe.Co has noticed that many fashion and lifestyle investment cases were backed by technology and e-commerce giants. This trend was more pronounced in 2018. Alibaba, Tencent and JD are the most active investment entities in fashion and lifestyle industries. 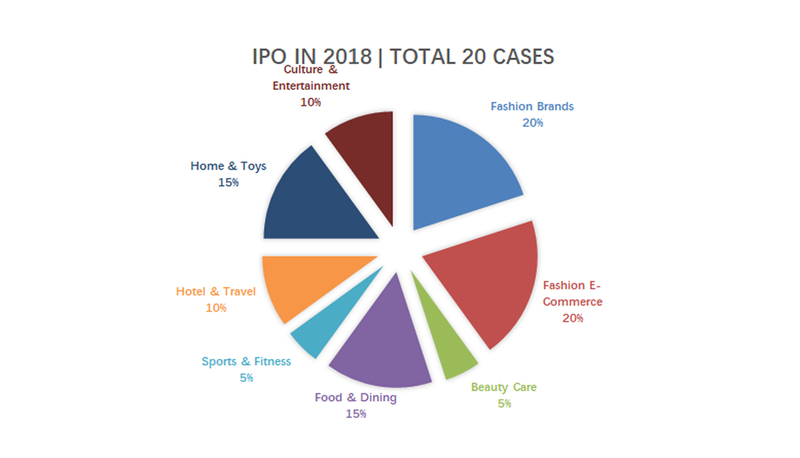 Among 273 investment cases collected by Luxe.Co, these three giants participated in 23 of them. Alibaba was the most active investor. Tencent: Haoyiku (好衣库), LEFIT (乐刻运动), Bilibili (哔哩哔哩), Keep, Xiaohongshu(小红书), Camellia (山茶花), Hailan Home (海澜之家) and See (小店铺). All three giants focused on fashion e-commerce investment. Alibaba had an emphasis on commute and travel, and Tencent on sports and social needs. Luxe.Co has launched ” Top 12 Trends in Fashion and Lifestyle Investment and Financing in 2018 – Overseas Market” . Based on these two reports, Luxe.Co has identified the following interesting facts of the investment and financing in the fashion and lifestyle industries in China and overseas. In terms of equity investment at early stages, China’s activity level was superior than overseas (276 cases in China vs. 247 overseas). Overseas cases were mainly in three areas, which were fashion brands, food and dining and beauty care. In China, food and dining was the most active sector, while fashion e-commerce continue to gain attention. Fashion brands and beauty care were rather quiet. With increasingly mature consumers, the importance of “brand” has become more and more prominent. However, new brands, which are in line with the next generation of consumer trends, are still in their early development stages. In terms of volume, a large number of potential and high-quality brands have not met the requirements of institutional investors. The other constraint was the lack of in-depth understanding of the pan-fashion industry for venture capitalists, who usually focused on high-tech and internet sectors. The overseas market featured “sustainability”, “vegetarian”, “natural” and “technology”. These keywords are closely related to the current changes in consumption trends. However, these concepts have not become mainstream in China. The keyword in China can be summed up as “consumer experience upgrade”, which has been reflected in many retail stores, tea drink stores and fitness gyms. In China, internet development has reached a relatively mature and saturated stage, while high-growth investment targets are increasingly becoming scarce. The focus has shifted to the innovation in offline consumption experiences. There were also similarities between China and overseas markets. Second-hand trading platforms and subscription e-commerce projects have developed rapidly in the past two years. It was evident that there was almost no “jet lag” between China and overseas markets in business model innovation. In terms of equity investment, internet giants and venture capital institutions were major players in China. Investors in overseas markets were more diversified. Industrial groups, supply chain upstream and downstream companies, family funds, celebrities and industry executive investors have all injected a wealth of vitality into the market. There was a wide disparity in M & A activities between China and overseas markets (30 cases in China vs 259 overseas). On one hand, these two markets were positioned at different development stages in the fashion industry. There was a big gap in the number of high-quality investment targets. On the other hand, investors in China (including PE and industrial investors) are still at the early exploration stage to the fashion industry. With less experienced, they are more cautious in fashion investment. Active Chinese industrial investors (strategic investors) prefer to acquire high-quality overseas brand assets.